There’s a coupon code near the end of the recording that will save you money on Enterprise Data & Analytics Training courses (for a limited time)! SSIS Framework Comunity Edition is available from DILM Suite (Data Integration Lifecycle Management Suite). 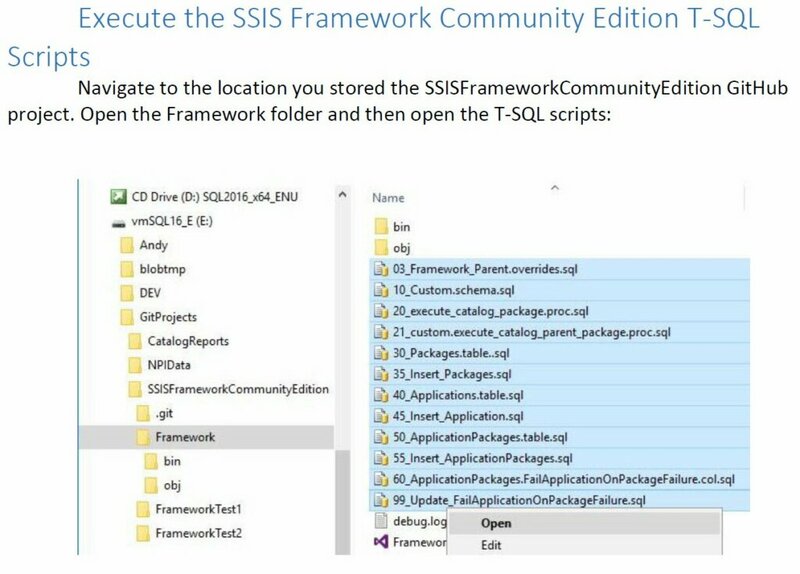 SSIS Framework CE is not only free, it is open source. The remainder of the document walks you through testing and customizing the SSIS Framework for your own needs. A customizing primer is included, in which I demonstrate how to extend Framework functionality. 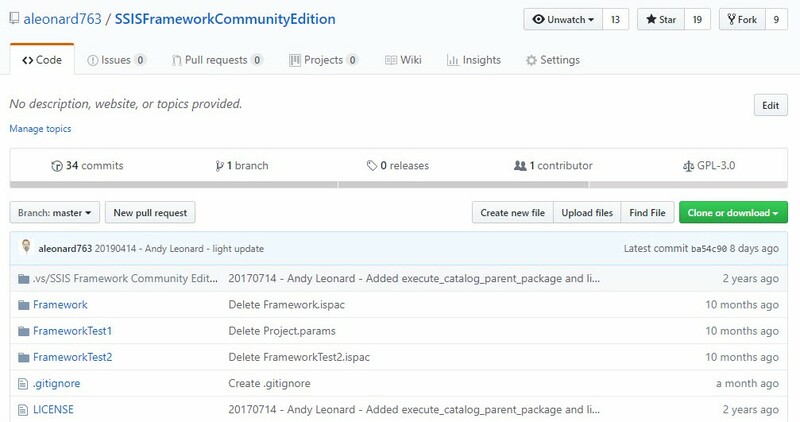 Click here to learn about enterprise SSIS Framework editions. 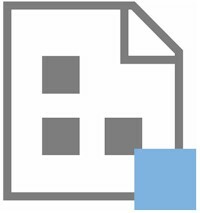 Click here to learn about SSIS Framework Browser, which is free. Kent Bradshaw and I had a blast delivering Loading Medical Data with SSIS earlier today! If you missed the webinar and, perhaps more importanly, coupon codes to save on upcoming Enterprise Data & Analytics Training. Join us next week for another free webinar: Enterprise SSIS Execution! Join Kent Bradshaw and me as we present (another) free Enterprise Data & Analytics webinar Tuesday, 23 Apr 2019 at 12:00 PM EDT: Enterprise SSIS Execution. SQL Server Integration Services (SSIS) is a powerful enterprise data integration tool that ships free with Microsoft SQL Server. Join Andy Leonard – Microsoft Data platform MVP, author, blogger, and Chief Data Engineer at Enterprise Data & Analytics – and Kent Bradshaw – Database Administrator, Developer, and Data Scientist at Enterprise Data & Analytics – as they demonstrate several ways to execute enterprise SSIS. 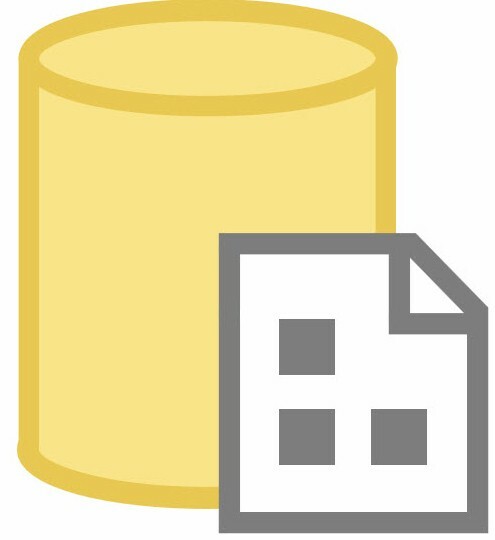 I’m excited to announce the next delivery of Developing SSIS Data Flows with Labs will be 17-18 Jun 2019! This two-day course takes a hands-on approach to introduce SSIS Data Flows with a combination of lecture and labs. Data integration is the foundation of data science, machine learning, artificial intelligence, business intelligence, and enterprise data warehousing. This instructor-led training class is specifically designed for SQL Server Integration Services (SSIS) professionals responsible for developing data integration solutions for enterprise-scale Extract, Transform, and Load (ETL) who want to learn more about developing SSIS Data Flows. – Learning SSIS Design Patterns. – Working through hands-on lab exercises. – Building efficient SSIS Data Flows. 1. Introduction to the SSIS Data Flow Task. 2. Designing re-executable loaders with SSIS. 3. Building an Incremental Load design pattern. 4. Data type fundamentals in a real-world scenario. 5. Managing schemata changes to data sources. 8. Repetition: Iterating file sources. 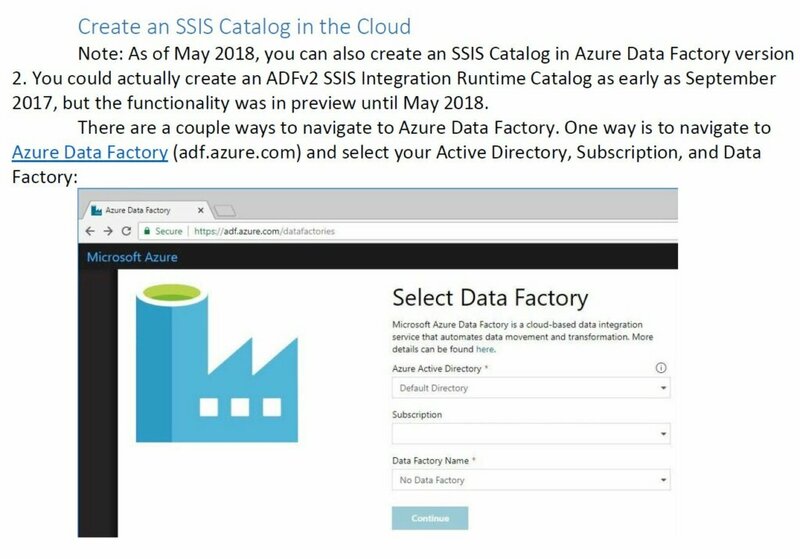 I’m excited to announce the next delivery of Mastering the SSIS Catalog will be the morning of 11 Jun 2019! This half-day course brings you up to speed on the SSIS Catalog quickly and efficiently, and we have great fun along the way. Data integration is the foundation of data science, machine learning, artificial intelligence, business intelligence, and enterprise data warehousing. This instructor-led training class is specifically designed for SQL Server Integration Services (SSIS) professionals and DBAs responsible for deploying, configuring, and managing data integration at enterprise-scale who want to learn more about the SSIS Catalog. 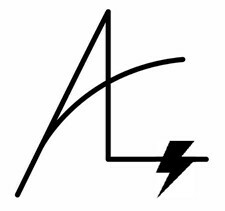 – Configuring connection strings and parameter values. 4. Configuring parameters and connection managers. Honored to Present Intelligent Data Integration at SQL Saturday – Virginia Beach! Make data integration execution more manageable. We start with Business Intelligence Markup Language (Biml) and walk through beginning topics to using a Biml Framework to build data integration faster. 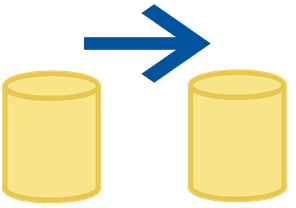 Next we look at SSIS Design Patterns to make SSIS perform faster. 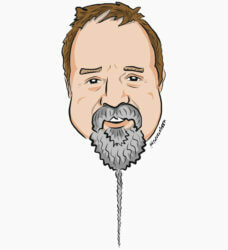 We wrap up with a nod to the SSIS Catalog and some automation options for custom frameworks. What is Intelligent Data Integration? 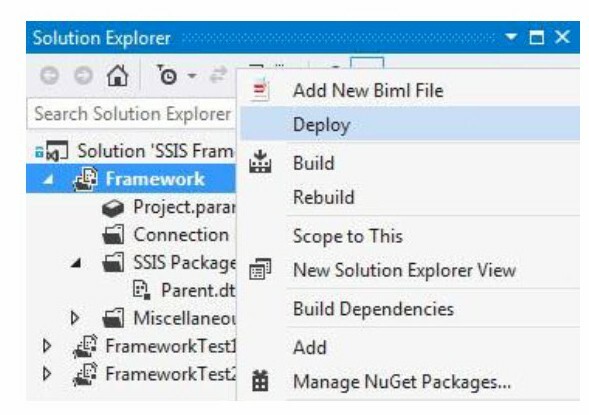 SSIS (SQL Server Integration Services) packages developed using tried and true design patterns, built to participate in a DevOps enterprise practicing DILM (Data Integration Lifecycle Management), produced using Biml (Business Intelligence Markup Language) and executed using an SSIS Framework. Attend a day of training focused on intelligent data integration delivered by an experienced SSIS consultant who has also led an enterprise team of several ETL developers during multiple projects that spanned 2.5 years (and delivered). a holistic approach to data integration design. a methodology for enterprise data integration that spans development through operational support. how automation changes everything. Including data integration with SSIS. Prerequisites: Familiarity with SQL Server Integration Services (SSIS). Honored to Present Intelligent Data Integration at SQL Saturday – Dallas! SQL Saturday 841 – Dallas has four precons scheduled for 31 May. Four. If you have ever organized a SQL Saturday or similarly-sized event, you know this takes a lot of hard work. Hat’s off to the organizers! I’m delivering Expert SSIS today. I hear the statement that is the title of this post each and every time I deliver this training. The advice and demonstrations are all based on experience… hard-fought-and-won experience. The next delivery is 15-16 July 2019. Two days, live, online – with me! Join me and level-up your SSIS!